New technology is rapidly changing the face of law. From new spheres of jurisprudence to how public and clients interface with and seek out legal advice. 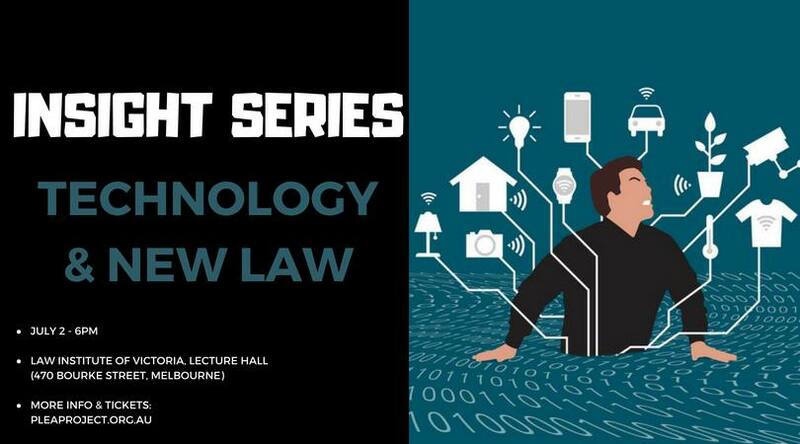 This presentation explore the opportunities and challenges navigating a legal career will have as we approach the middle of the 21st century. Panel to be announced in the coming weeks. The Prison Legal Education & Assistance Project’s Insight Series, is an accessible and vital resource for students considering a community and social justice minded career. Cost: $10.00 (or 3 events for the price of 2 if booked as a package) with all proceeds from this event going directly towards the PLEA Project’s legal education presentations within Victorian prisons. Discounts are available for students experiencing financial hardship. Free for PLEA volunteers and Tarwirri members.